Growth can be painful. 2018 was a year full of many ups and downs. Through it all, our SlewPro team powered through. 2018 was our first full year in our new manufacturing facility, we put procedures in place to exceed our customers’ expectations and we found ways to improve our efficiency and do more with less. Wind power and other alternative energy forms continue to grow in usage. Companies are increasingly using wind to power manufacturing plants and reduce the need for nonrenewable energy sources. 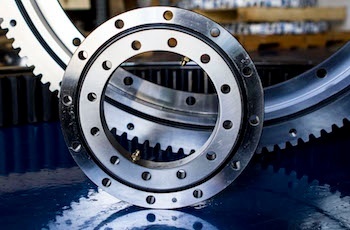 Slewing ring bearings play a necessary role in the production of wind power. But when the slewing ring bearings used in wind turbines don’t do their job, the cost of doing business can rise drastically and quickly. Selecting the best slewing ring for your application takes more than knowing size and load capacity. Many factors will impact your bearing’s success and longevity — details that design engineers sometimes overlook. 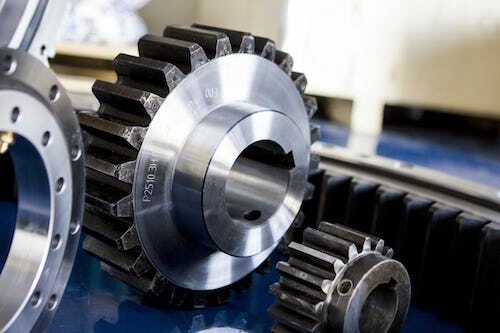 SlewPro, a precision manufacturer of slewing rings and slewing drives, and related products, has acquired the assets of Rhino Gear, a provider of steel pinions, gears, pulleys, sprockets, splines, and custom broached internal shapes. SlewPro will continue to use the Rhino Gear brand following the acquisition. 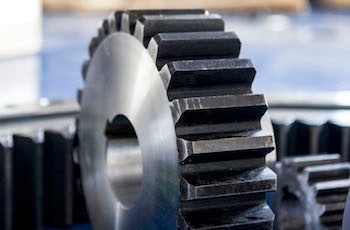 While slewing ring bearings do perform heavy-duty functions often under the worst possible conditions, they must be treated as delicate instruments to ensure their accuracy and a long operating life. 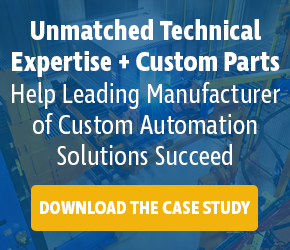 Following the installation procedures precisely is critical to ensuring the best possible performance. 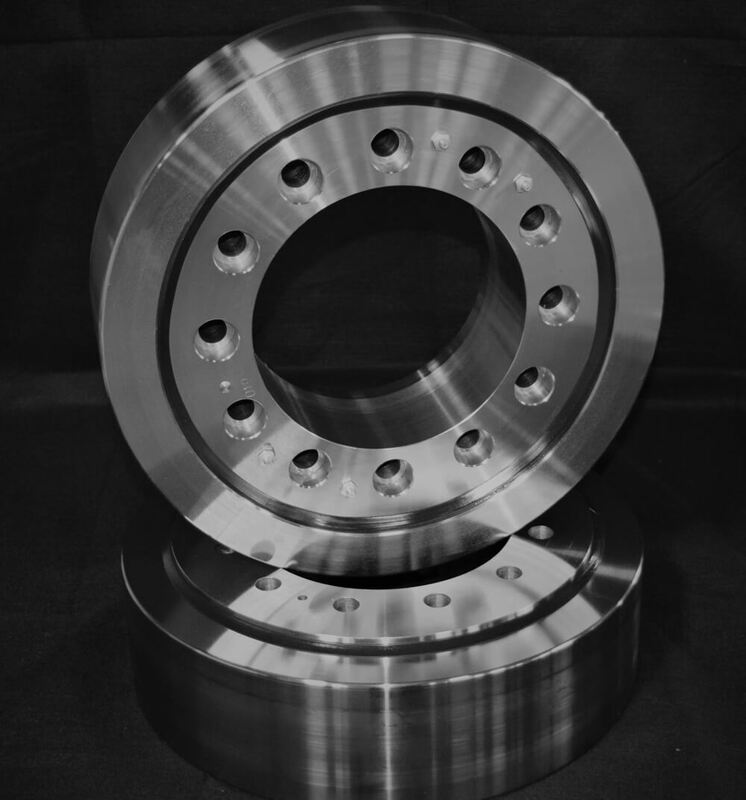 A slewing ring bearing is usually a circular device that supports the weight of rotating equipment and is used to turn devices of many sizes and types for industry, energy, transport, agriculture, radar and tracking devices, and even medical equipment. 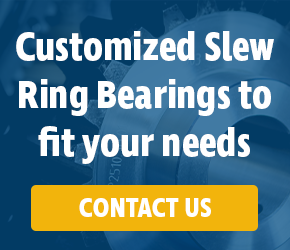 In different sizes and designs, slewing ring bearings turn heavy-duty cranes, offshore drilling equipment, and medical diagnostic devices. 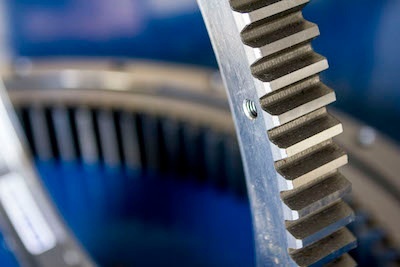 Lubrication is essential for maintaining the integrity of a slew ring bearing. 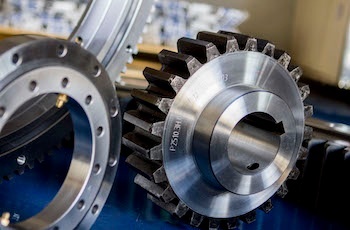 When bearings are optimally lubricated, they not only run safely, but also reduce the potential for premature failure. In order to ensure that slew ring bearings are properly maintained, the following mistakes should be avoided. When you get dressed, you put on your shirt and pants. You probably take the time to pick out all your undergarments. Most people even do their hair and brush their teeth. When you are ready to go, do you slip your shoes on without putting on socks first? Of course not. Most people understand that the small things matter in life. Socks may not be the most exciting part of your wardrobe, but you look funny without them. Worse, your feet will probably start to get uncomfortable, and you could even ruin your shoes. Socks prove that something does not have to be prominently visible to make or break your readiness for the task at hand. The same principle applies to manufacturing. 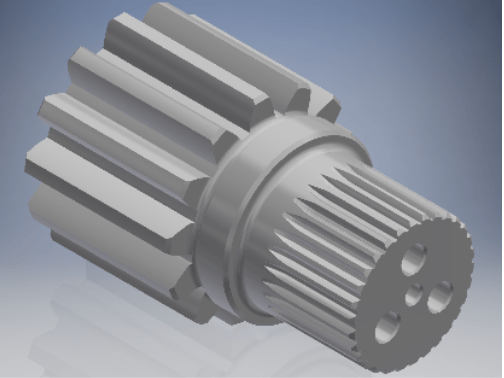 When you take the time to buy the best slewing ring bearings for your needs, be sure to complete your purchase with pinions. 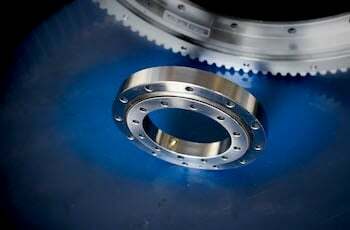 There are several vital design components of a crane, including slew ring bearings. These bearings allow the crane to rotate 360 degrees, while sustaining the load of the crane and associated weights, including the payload and counterbalance. 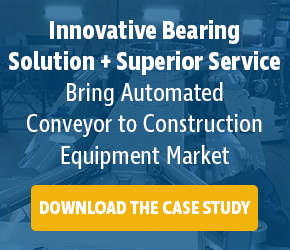 A failure of the slew ring bearing would result in an operational breakdown that could end in catastrophe.